Here are a few places which I have visited but not managed to fly from yet. 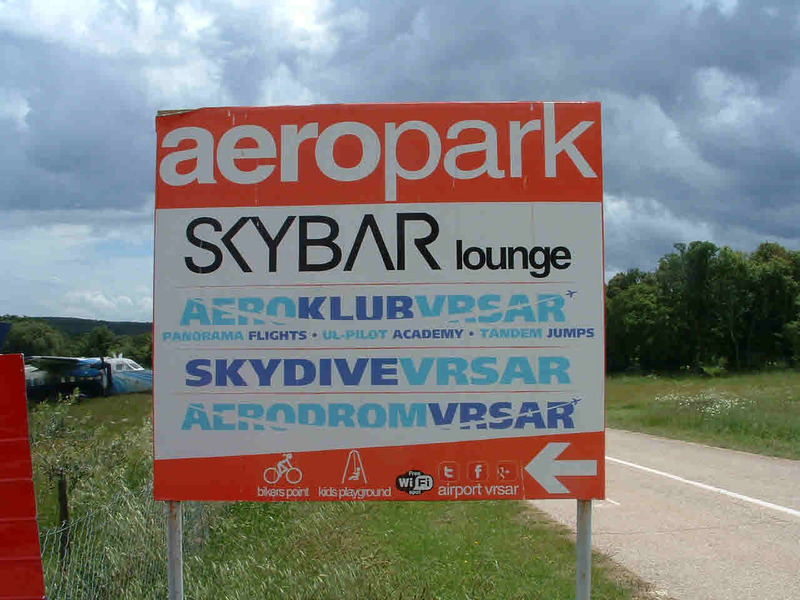 I have stayed at Rovinj twice and stopped at the airfield just outside Vrsar on both occasions, it is just off the main road between the two resorts. On both visits I have not been able to book a flight.The airfield is somewhat deserted out of the main holiday season and as you can see there is no telephone number on the board at the main gate. Last year(2013) there appears to be the start of an aircraft museum forming, so I guess that it may be worth a trip just to see the planes. Previously you could book a pleasure flight in a Cessna 206 although I did not see it on our last trip back in early May, the weather for the week was windy so this may have been an issue. If you are staying in Rovinj and have a hire car, it is only a short trip to cross the border into Solenia for a day trip to Portoroz and Piran.There was no delay at the border crossing and we spent an enjoyable day strolling about both resorts. 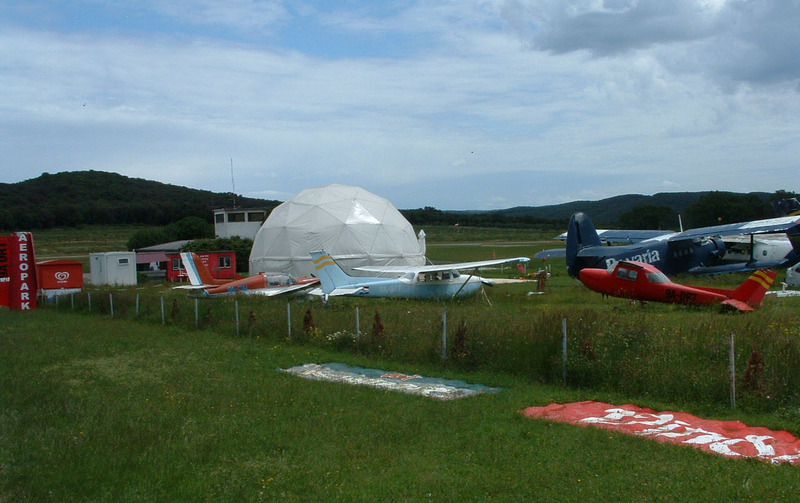 The main coast road passes by Portoroz aerodrome and Lipican AER flying school is based there. The website (english option) is www.Solinair.si We stopped on our way back late in the afteroon, the school was closed by then but the main reception was still open and we collected a leaflet with contact details and one showing the school's fleet and prices. Pity we were only stay for a one week holiday or I would have come back. 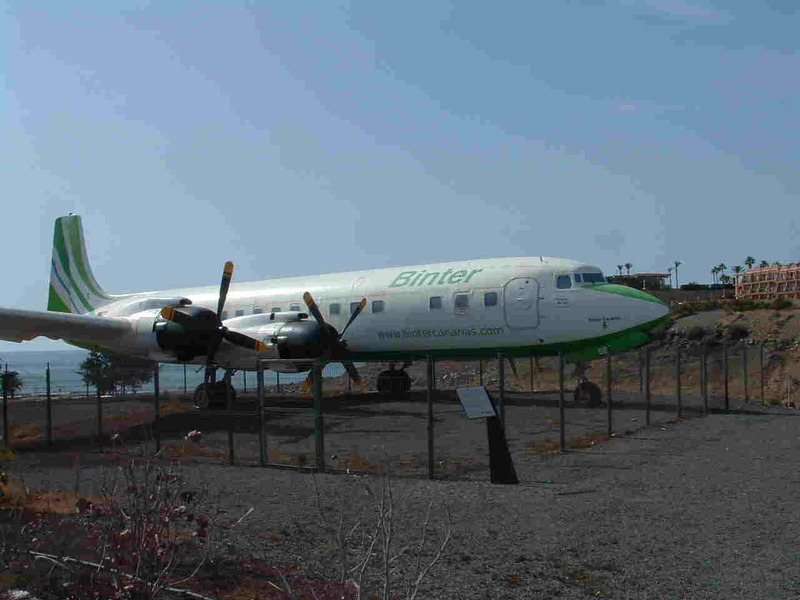 The old airport at Tovajalillo is used by GA traffic, the flying school and parachuting centre, a DC7 from the old days provides a good landmark to spot the access from the main road to San Augustin.I have visted Gran Canaria five time over the last 15 years,the first time staying in San Augustin, I did enquire at the airfield about a flight but it was relatively expensive, I never took the opportunity. The DC7 at the time was seriously neglected along with a DH Dove .Well I have just returned (December 2015) from staying at Puerto Rico and I am pleased to say the DC7 has been painted in BinterAir colours, the Dove had been removed quite a few years earlier. The airport is still being used for banner flying using a C172 but during my stay the Gran Canaria Aero club website was down.There is now a microlight flying school based at the airport www.canaire.com and I spotted quite a few microlights passing your hotel along the coast as well as a tandum autogyro. Prices on their website looked resonable but over the Christmas week of our stay I didn't have the time to vist, may be next time? 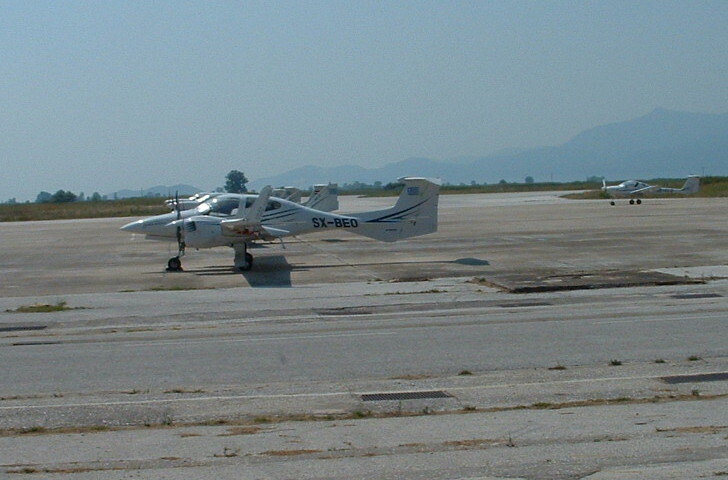 If your holiday takes you to Thassos, a small island of the Greek mainland then you will have landed at the mainland airport of Kavala. 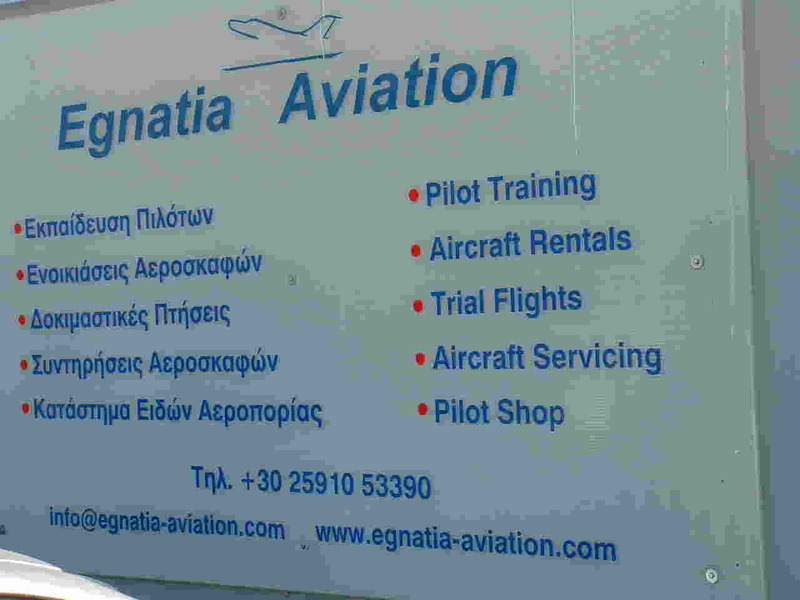 Kavala is the base of Egnatia Aviation www.egnatia-aviation.com which offers flight training on a fleet of single and twin engined aircraft. The airport does not have a great deal of commerial traffic and the school is situated next to the arrival/departure building.